Some interesting news out today regarding the upcoming Commander 2017 products. 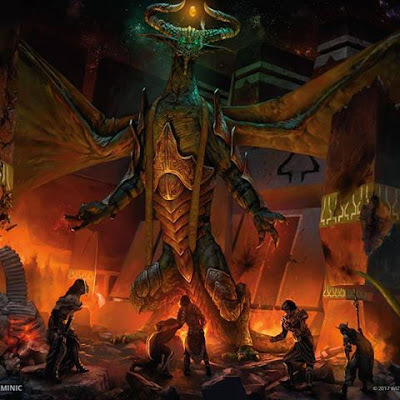 Although this has been purported to have been published in print, although perhaps with an issue conflicting with official preview timing, we should still consider this as unofficial until posted to the Wizards of the Coast Magic: the Gathering website. Here is the blurb within the magazine which was reported to appear in the magazine (in Japanese obviously). We do know a little conversational / spoken Japanese, but am unable to read / write in the 3 alphabets, so should there be a reader to assist, please post in the comments below. Commander (2017 Edition) on August 25, 2017, and features four new tribal-themed, 4 new Commanders, 10 double-faced tokens, 100-card ready-to-play decks including 56 all-new Magic card. As it is Friday, do drop by your local store and get some Magic: the Gathering gaming in for Friday Night Magic. We will be at OMG Games here in Barrie, Ontario this evening to do battle for glory and prizes. If you are unable to get out (work, vacation, whatever), you could still fill your boots with Pro Tour Hour of Devastation coverage provided you have a connection to the internets. We can expect official Wizards of the Coast previews sometime during the week of August 14th, 2017 as to which of the 4 Tribes will be featured. 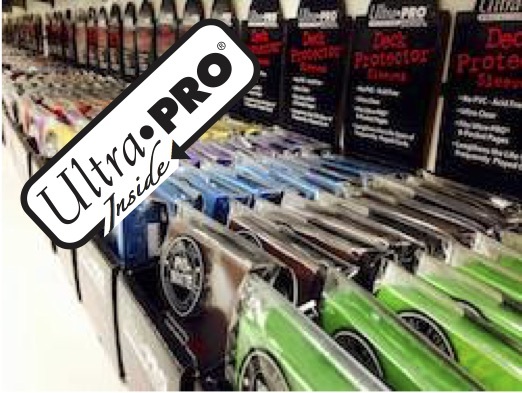 For now however, we have previews from Ultra PRO. Great looking graphics and smart design promises to rock your favourite game format with these playmats, deck boxes, and card protector sleeves. 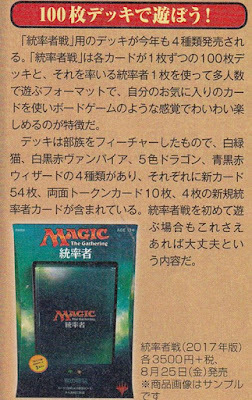 Unstable is the third Magic: The Gathering booster-based set to be used outside of legal Magic tournaments. It will be released on December 8, 2017 as a standalone fun-set. This is the third of the silver bordered Un-sets and is designed to be drafted. Updated with MaRo’s to post to Blogatog. • Jace - engages in a mental battle with Nicol Bolas, as we can see from the 'brain waves' emmanating from Jace against the Bolas horns. 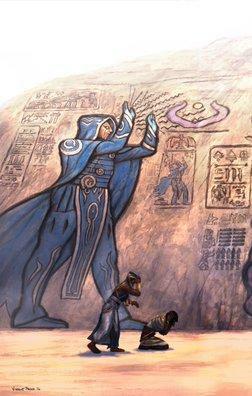 From the small cartouche on Jace's right we see that he does not fare well. • Liliana - interesting that we see her 'crowned' with the horns of Nicol Bolas. 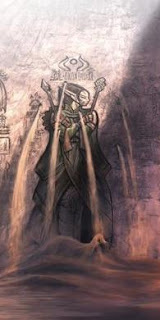 The illustration immediately to her right shows what perhaps is her pledging loyalty to Nicol Bolas and given command of the dead against an unknown opponent. • Nissa - This one is mysterious. Sand is cascading from holes in the wall in this mural. Nissa is holding her staff but also holding what may be Oketra's arrow. There is nothing else here which suggests an outcome other than the Bolas horns above her suggesting she may have been bested as well. • Chandra - She is the only Planeswalker facing left or what is supposedly away from Nicol Bolas. This may indicate that her attention is focused on her commrades in trouble. No Bolas horns here showing subjugation. • Gideon - This panel seems to be unfinished as there is an absence of any glyph above or to his right. It appears his blessing of invulnerability has been re-imagined as a cartouche. The rock wall is cracked through this illustration perhaps suggesting his fate. • Nicol Bolas - Shown very busy here finishing the mural of his vicotry over the Gatewatch beside Gideon. Remember that victory is written (or is re-written) by the victor. A lot of our local friends here in Barrie, Ontario will be heading down to Toronto (about an hour's drive south) for the Toronto Grand Prix event. There may be a fewer attending our local gaming store, OMG! 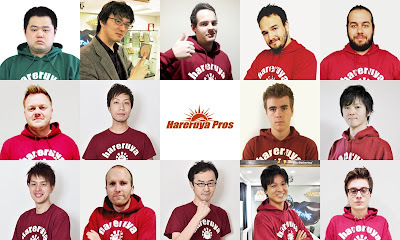 Games, but we suspect the competetion will still be fierce to battle our way into Top 8. Possibly Edgar Markov or Runo Stromkirk? Speculation - Orzhov (Black / White) Clerics or Humans? Righto - Here is handy information you may need to know. Commander returns with four new tribal-themed, 100-card decks, featuring 56 all-new Magic cards legal in Eternal formats (Vintage and Legacy). 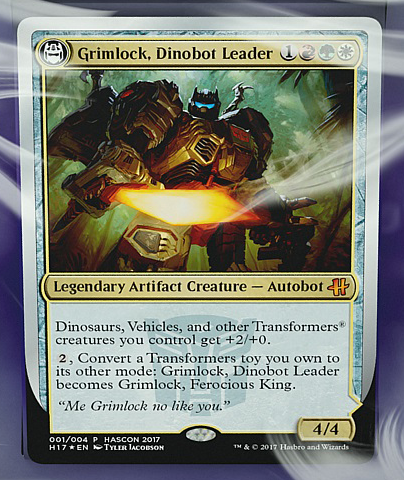 Cards from Commander (2017 Edition) will be featured and distributed in connection with a future offering on Magic Online. 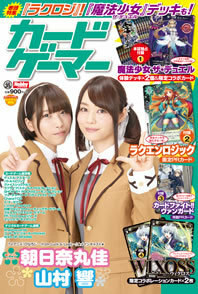 Contents: Each deck contains a ready-to-play 100-card Commander deck including never-before-printed Magic cards. As it is Wednesday, we have been treated to another Magic: the Gathering Story for the newest set, Hour of Devastation. Today's Magic Story is from Wizards of the Coast staffer Michael Yichao and titled 'Endure'. It has been a fantastic run so far and there is only one more story to go before this set's storyline has wrapped up. 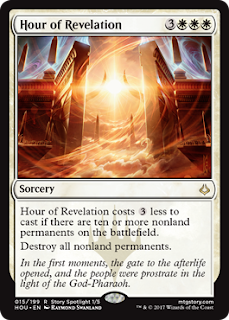 The last story is undoubtedly be called "The Hour of Devastation", should be rely upon the rather cool Story Spotlight cards. Below, the beautiful card illustration from Simon Dominic provides a sneak peak at what we can anticipate. 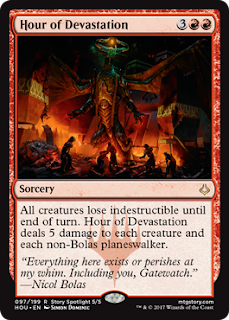 Pretty much the Gatewatch - Gideon, Jace, Liliana, Chandra, and Nissa being defeated by Nicol Bolas. No story spoilers presented here - but - for those who have purchased 'The Art of Magic: The Gathering—Amonkhet', you already know the final outcome. For today's post on MTG Realm, we want to summarize the Hour of Devastation story posts to date and certainly are waiting with great anticipation for the last story next week. The second sun has settled between the horns on the horizon, and the Gates to the Afterlife open to reveal the promised paradise on the other side. "And thus the sun reached its zenith behind the horns of the God-Pharaoh, and the promised Hours began. 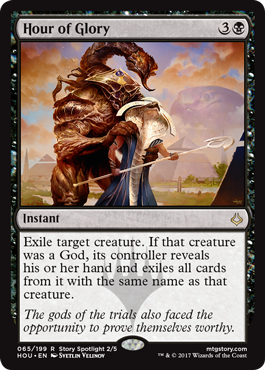 And the last of the people of Amonkhet fell to their knees, and there was much gnashing of teeth for fear of what was coming in the world, and wailing from babes and children, and the gods did mark the moment with solemnity, all as foretold." 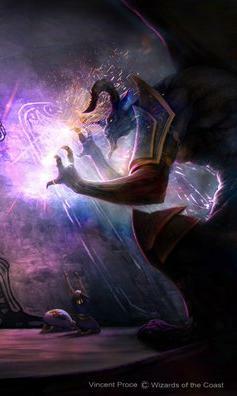 Liliana battles the demon Razaketh. She will stop at nothing to secure her freedom. Great flavour here - "And so the Hour of Revelation broke upon the land, and the promised time arrived when all questions would be answered. And lo, the Gate to the Afterlife opened, and from behind its gleaming walls, the true visage of the coming tide poured forth." The Hour of Glory was to be the moment where the gods proved their worth to the God-Pharaoh. Instead, three forgotten gods appear, their purpose ominous and unknown. 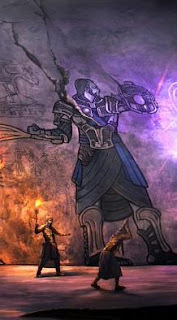 "And as the Luxa, the lifeblood of Naktamun, turned to the foul blood of the great shadow Razaketh, the Hours turned to that of Glory—the promised time when the gods themselves would prove their worth before the God-Pharaoh." While the Scorpion God hunts down each god one by one, the Locust God unleashes a deadly swarm, devouring the magical Hekma barrier protecting Naktamun. Hapatra, Vizier of Poisons, refuses to sit by while her city falls. "And lo, the three dark divinities returned, and as they felled the gods, the Hour of Promise arrived. And so the great locust god fulfilled the great promise, and thus the Hekma was torn asunder, its protections cast aside before the return of the God-Pharaoh." Bontu reveals her true ambitions, even as the city of Naktamun crumbles. 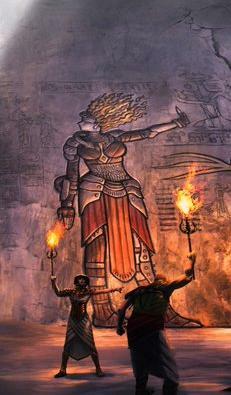 Hazoret, God of Zeal, hesitates, torn between her loyalty to the God-Pharaoh and the mortals under her care. Three gods have fallen since the Gate to the Afterlife opened to reveal unimaginable horrors. Only Hazoret the Fervent and Bontu the Glorified remain to protect the mortals on Amonkhet. But will they be able to hold against the onslaught until the God-Pharaoh returns to protect his people? Nicol Bolas is immeasurably old, incomprehensibly wise, and driven towards only one goal: the reclamation of his old power. The God-Pharaoh has returned, and the five Hours have arrived as foretold. The Hours of Revelation, Glory, and Promise unleashed disaster upon Naktamun, and now the Hour of Eternity brings an unimaginably personal terror to the city's denizens. Faced with the murder of their beloved gods, the mortals of Amonkhet struggle to survive the destruction of their world. "The world crumbled beneath the heel of the mighty God-Pharaoh, and an unnamed hour dawned as the blood red sun drowned the land in crimson. And thus, the Hour of Devastation reigned, and, the God-Pharaoh completed his great plan, leaving behind ruin while darkness consumed and unmade the entirety of the city." Congratulaiotns to Magic: the Gathering player Michael Hamilton who took first place this weekend at the StarCityGames.com Standard Open in Cincinnati. This was the first large tournament taking place after the release of the newest set Hour of Devastation. The metagame breakdown of Day 2 was incredibly varied with 36 different archetypes represented, which is a strong indication of healthy standard format. Obviously not an accurate prognostication for this new 'season', but certainly very promising right out of the gates. There will be a good measure of evolution going forward and it may be of interest to read the article today posted on the Wizards of the Coast site from Luis Scott-Vargas as to the direction of standards existing decklists with the new options presented in Hour of Devastation. "FNM has been and continues to be the foundation our weekly in-store play. It is one of our longest-running and most successful play programs in our 25 years, so we're not looking to mess with the formula too much. We are making two changes that are related—FNM "seasons" now align with set releases, and promos, which have previously been foil cards, will now be foil double-sided tokens." • Less FNM promos per week for Core and Advanced level stores. Double-sided tokens are cool ! But certainly not at the expense of the traditional FNM promos. The more recent promos have certainly been improving - Aether Hub, Fatal Push - oh heck yes. Wizards was tracking in the correct direction with these more 'playable' cards. They would have been better served by having these promo tokens as an adjunct for other stand-alone products to entice purchase. Other than this incredible loss of inventive to attend Friday Night Magic, we want to mention the change to Game Day. This event has now been replaced with a 'Store Championship' event which is to take place later than the typical 4 weeks after a set's release. It is now planned to be a "climax of the season's competitive Magic narrative"
With this event's inaugural run planned for December 30–31, to coincide with Rivals of Ixalan, the prize support here appears great - store champion playmat, exclusive deck boxes for the top 8, and foil full-art promo cards from Rivals. The issue really is, just how many players will be available to attend at the most packed week in most people's calendars - year end holidays have a multitude of social engagements which provides little to no time to take even a day out of their schedule. The newest Magic: the Gathering set, Hour of Devastation is ready to be released tomorrow, right on time for the first opportunity to game with this new set legally in Friday Night Magic. MTG Realm will be at OMG! Games, here in Barrie, Ontario with a few tweaks to our existing decklists but nothing new just yet, until we've had an opportunity to discuss the merits of new deck ideas. Always a source of inspiration when a new set comes out, the Hareruya Pros have once again gathered and produced yet another great set of 'HareruyaWayfinder' decklist suggestions. Let these lists inspire you to create your own monster to unleash upon your local gaming store. Updated Amonkhet Zombies decklist with new Driven // Despair B/G split 'Aftermath' card and new Afflict beater Ammit Eternal. Green, Blue, splashing White has tons of draw, filter, and self-mill to deliver a zombie army punchline. Early game threat removal consideration followed by a generous number of ramp spells to land Ulamog, the Ceaseless Hunger for the win. Largely ported from previous iterations of blue white control, with the new addition of board-wiper Hour of Revelation. Black / White good-stuff with Walking Ballista and Aethersphere harvester, with a full punch of four Crested Sunmare to take advantage of a number of life-gain cards in this build. Red / Green / Blue with your fav energy producers. Full deck-set of new Aftermath card Reason // Believe to 'cheat' Ulamog, the Ceaseless Hunger onto the battlefield. Self-explanatory tech employing new cards Fraying Sanity to mill and Hour of Devastation to keep the board clear. Odd but interesting port from the previous season's Red / Whhite Human tribal build. New sauce includes decksets of Earthshaker Khenra and Ramunap Ruins with a singleton of Shefet Dunes. Exactly as the name indicates, with a total of 10 Planeswalkers (Gids, Lili, and single Sorin). New tech tutor Djeru, With Eyes Open looks for the Walkers, Sunscourge Champion chumps, and three copies of board wiper Hour of Revelation. Essentially the major active ingredients of the previous control decklist (Torrential Gearhulk and friends) with the addition of Supreme Will (an 'auto-include') and red board-wiper Hour of Devastation. Green / Red / splash Blue with a suite of choice mana accelerators with Nicol Bolas, God-Pharaoh at the end of the tunnel. Standard Emerge tech to open up an early Elder Deep-Fiend, Wretched Gryff, etc. New spice added includes Strategic Planning and Champion of Wits. New Blue / Red / Splash Black list using a deck-set of the previous set's Gate to the Afterlife to delivery a singleton of God-Pharaoh's Gift. The new Striped Riverwinder and the previous set's Curator of Mysteries gets cycled lickety-split to become seeds for hasty zombies. This past weekend was the much anticipated 'Hour of Devastation' PreRelease event. We had attended one of the local events at OMG! Games here in Barrie, Ontario, which ran back-to-back events all weekend long. The Saturday 3:00 PM event had over 50 Magic: the Gathering players in to game with the new cards. The news-worthy item we had wanted to yatter about today is the SDCC MTG promos this year. Wizards of the Coast will once again be at San Diego Comic-Con 2017 taking place during July 20-23. 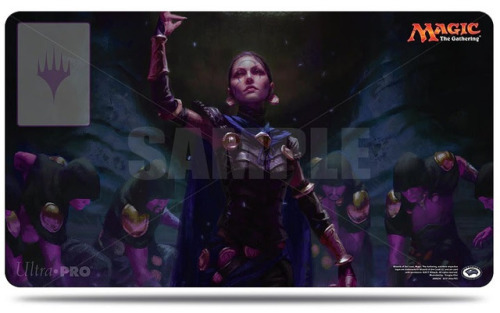 As anticipated, there will also be limited edition SDCC exclusive ‘Planeswalker Pack’ as with previous SDCC events. 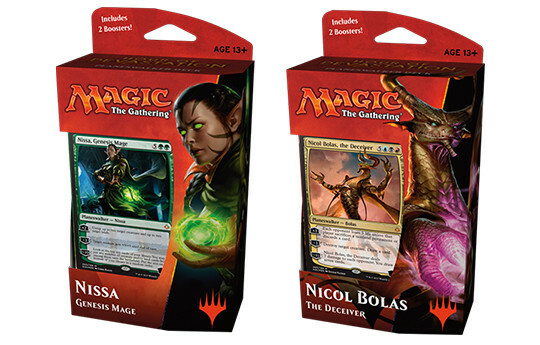 Wizards has been attending the Comic-Con since 2013, and has always had some rather sought-after swag and exclusive purchase opportunities for Magic: the Gathering fans, available for sale at the WotC Booth, and in most cases on-line at the Hasbro store website. The six Planeswalker cards with exclusive ‘Amonkhet style’ artwork by illustrator, Vincent Proce will also be packaged along with a very lovely looking 40” x 36” screen print of Nicol Bolas illustrated by Brandon Holt. 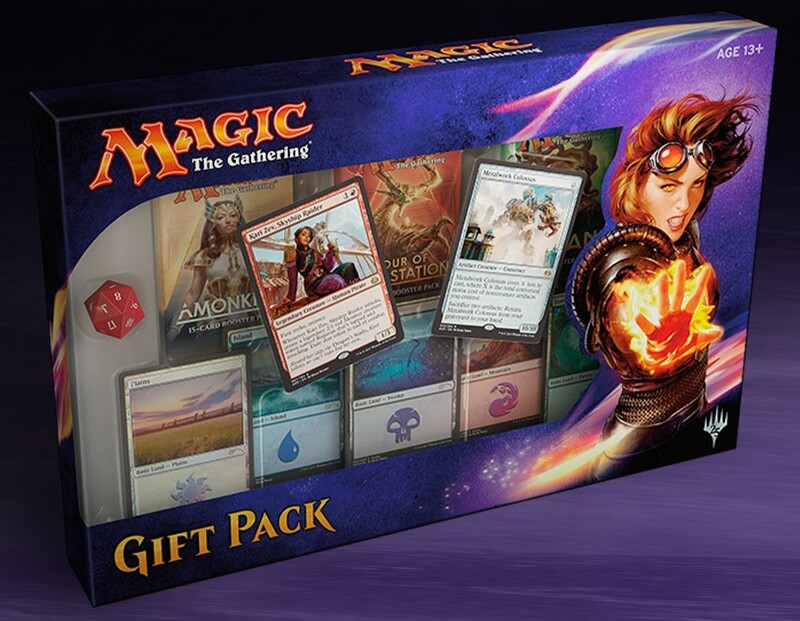 The Magic: The Gathering 2017 Planeswalker Pack for $180.00, and are expected to sell out again. Previous 'PW Packs' typically sold at SDCC for about $100 but may re-sell for quite a bit more. This may be a slight correction up but one should also consider the very lovely screen print that is also part of this package. It is also expected that there will be a few panels hosted by Wizards of the Coast, including a Blogatog Live session with Head Designer MaRo (Mark Rosewalker), which will also include a question and answer portion. 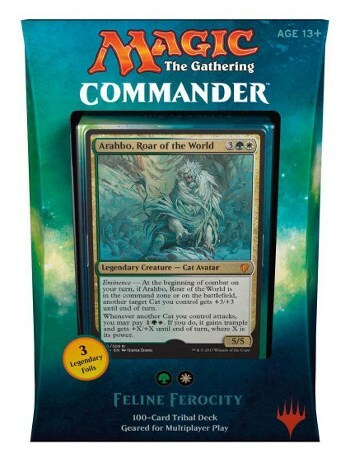 Eminence - At the beginning of combat on your turn, if Arahnbo, Roar of the Wild is in the command zone or on the battlefield, another target Cat you control gets +3/+3 until end of turn. Whenever another Cat you control attacks, you may pay (1)(G)(W). If you do, it gains trample and gets +X/+X until end of turn, where X is its power. James Wyatt leads the way through the Trials of the five gods with a set of rules to bring your Dungeons & Dragons adventures to life in Amonkhet, including new races, new monsters, new backgrounds, and cleric domains for each of the five gods. The game mechanics in this supplement are usable in your D&D campaign but are not fully tempered by playtests and design iterations. 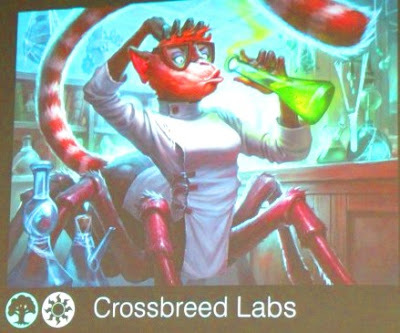 For these reasons, material in this supplement is not legal in D&D Organized Play events. Do make tracks on over to the Wizards of the Coast site and read Michael Yichao continuation of the Hour of Devastation story, linked right here. We are not even prepared to talk about this just yet - perhaps tomorrow. Pop on over to the Mothersite linked right here. Releasing on July 14, 2017, the Hour of Devastation Planeswalker Decks familiarize players who are interested in Magic with basic strategy as well as the setting, characters, and themes of the latest set. Each deck comes with a premium foil Planeswalker card that is likely to appeal to newer and veteran players. Each of these have a total of five unique cards which are considered to be part of the Hour of Devastation set.